Off-grid solar is poised to play a major role in meeting Rwanda’s target of electrifying 70% of households by mid-2018. At present, only about a quarter of households have access to electricity. New grid connections are costly and the existing electric grid is heavily-burdened. 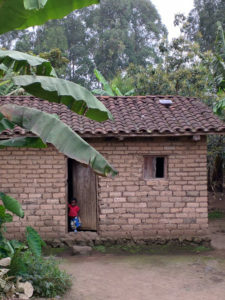 In light of this, the Rwandan Ministry of Infrastructure (MININFRA) has recognized that low-consumption households can be served more efficiently and cost-effectively by off-grid systems. We are now working with MININFRA to catalyze a sustainable, competitive rollout of solar home systems (SHS). The intention is to efficiently enable access to modern energy services for many of the two million Rwandan households that lack electricity. Following several years of research and small-scale support, we significantly ramped up our in-country engagement in late 2015. A keyongoing initiative is to support deployment of $50 million in Climate Investment Funds via the Scaling Up Renewable Energy Program (SREP). The country’s Investment Plan (IP) under the program has called for the funds to be used, in part, to address financial bottlenecks for SHS distributors, thereby stimulating the provision of off-grid solar systems in un-electrified locales. The Lighting Africa team expects to support additional government programs to overcome financial challenges, as well as others that focus on consumer awareness, quality assurance, and product affordability. Our goal is to help catalyze the Rwandan market to deliver over one million off-grid systems in the coming years, reaching unprecedented penetration rates. Impact data last updated December 2018.